Tnpsc Group 2 Interview Post Prelims Exam Cutoff Marks Expected & Previous Year: Dear Tnpsc Aspirants, Here you can find details about Tnpsc Group 2 Interview Post Prelims Exam Cutoff Marks – 2015 & 2018. Previous year Tnpsc Group 2 Interview Post Prelims Exam Cutoff Marks are also updated below. 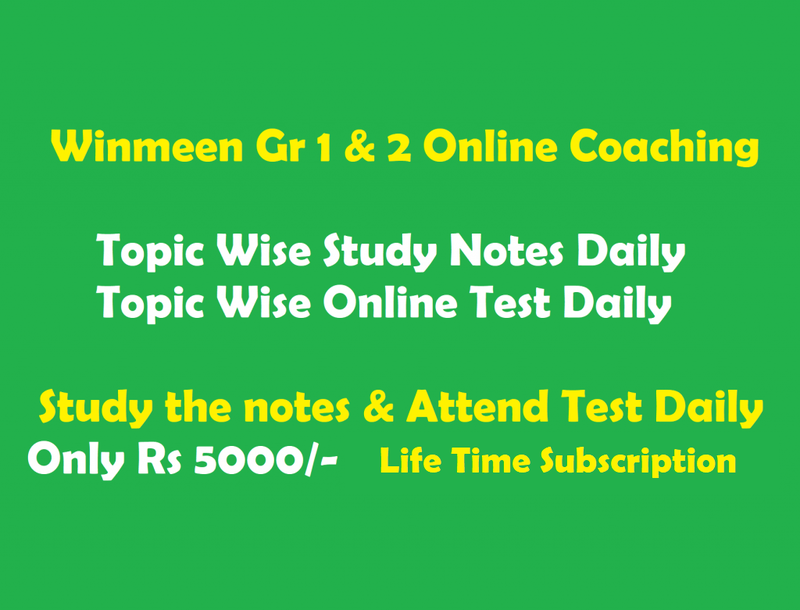 Tnpsc group 2 exam previously conducted in 2015. The group 2 prelims cut off of the year 2015 is around 140 to 150 questions. This year 2018, We have Huge competition, so our expected cut off is Above 155+ questions out of 200 questions. கடந்த ஆண்டு நடைபெற்ற குரூப் 2எ மற்றும் இந்த ஆண்டு நடந்த குரூப் 4 தேர்வுகளை காட்டிலும் 2018 குரூப் 2 தேர்வு மிகவும் எளிமையாக இருந்ததால், கட் ஆப் 155+ கேள்விகளாக அமையும். இது ஒரு உத்தேசமான கணிப்பு தான். 1:10 விகிதத்தில் 11000 முதல் 12000 பேர் முதன்மை தேர்வுக்கு தகுதி பெறுவார்கள். எனவே 140 + கேள்விகளுக்கு மேல் சரியாக விடையளித்த அனைவரும் முதன்மை தேர்வுக்கு தயார் ஆகலாம். 140 கேள்விகளுக்கு குறைவாக எடுத்த மாணவர்களும் அடுத்தடுத்த தேர்வுகளுக்கு படிக்க துவங்கலாம். உங்களுக்கான மிகப்பெரிய பணி விரைவில் வரவிருக்கிறது. இன்றிலிருந்தே படிக்க துவங்குங்கள். வெற்றி நமதே. Note: For PSTM deduct around 2-3 Ques in the respective Category. For PH deduct around 7-9 Ques in the respective category. 135 /200 – MBC physically handicapped.. is there any chance ? 140/200 and MBC . Is it possible for clearing ? Respected sir tnpsc group 2 prelims la one question mathi shade panniten.later whitener vachu answer mathiten.any problem. I am too confused my mark 170 obc. Please answer sir . Sir 145 /200 questions MBC female. Whether Chance is there ah Sir?? Sir i have scored 154 questions and bc woman candidate. Shall i pass in prelims? Sir i have scored 154 questions and bc woman candidate. Shall i pass? I have scored 140 questions in g2 2018. I am BC female pstm certificate.mains any chance for me? sir I scored 130 . .sc female . . any chance ??? I got 144…am a female candidate and i belongs to BC ommunity…do i have any possibility??? I got I47 out of 200.. I’m an sc candidate.Female. Any chance to clear the prelims exam. 150/200 in BC male chance iruka???? Sir I got 152 questions correct shall I start preparing for mains? sir, i scored 141 questions .. sca male .. any possibility to clear priliminary exam? 140/200 bc pstm female mainsku prepare agalama sir? 131 question correct. I m BC .is it chances for clearing group 2 prelims? sir, i got 141 questions sca male .any possibility to clear priliminary exam? 157/200 sc female any chance to select in prelims? Sir 157 questions correct shall I prepare for mains. I scored 136 am sc female. Shall I prepare for mains? 135/200 ST women possible iruka??? Sir 148 MBC female.any chance for mains gr 2 . In the group 2 exam, For the post of assistant section officer in law department at secretariat Candidate must have a degree in law. In which manner cut off marks is fixed for this post..??? sir I got 116/200 bc female is there any chance to go to mains? I have scored mark 150/200. Sc b. A Tamil major evvalavu cut off Varum sir. Sir, I’m 141/200 MBC Male (PSTM) Any Chances is there? I got 140 female bc…is there any chances sir..??? I am scored 145 out of 200. I am bc male pstm M.A . Chance iruka mains ku. 158/200. SC category. No pstm. Question paper is easy compare to previous year. So, is it possible to get selected for mains for the mark shown above? I have anwered correctly for 108 questions out of 200 ..I belong to SC category any possibility. sir 133/200 sca+pstm eligible to main sir!!! sir i got 175/300,,,can i go to mains? I got 134 mbc female any chance for main? sir..i got 147/200 in prelims comes under MBC…any chance for mains ? I’m bc female 149/200. Shall I start for preparing mains? sir am 100/200 question correct. am ex-servive man if possible?